Pediatric Mask - SHIPS FREE! Adult Mask - SHIPS FREE! 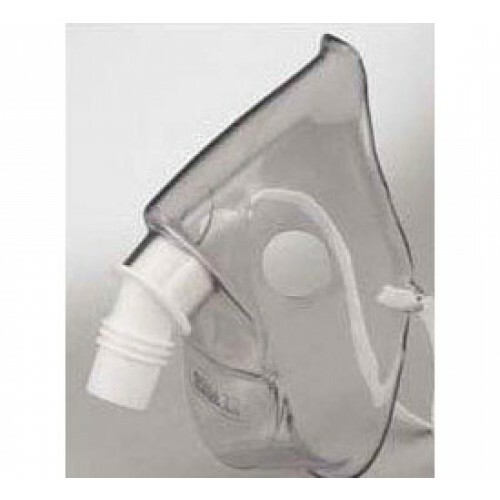 Breath easier with the help Respironics Sidestream Face Mask. Available in adult and pediatric sizes, Sidestream Face Mask is a great fit for all. It molds to your face for the most effective treatment delivery method. Sidestream Face Mask is reusable, allowing you to get the most for your money, instead of constantly replacing disposable masks. It's unique swivel connector easily attaches to the nebulizer, minimizing effort on the user's behalf. So, in part this my fault. 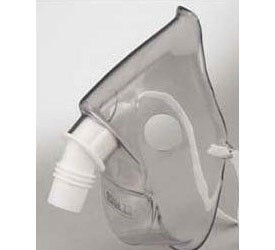 I ordered nebulizer mask without a chamber for the medication. But, when I called to get chambers the representative said she would investigate if they had chambers for sale. That was 3 hours ago without follow up. A product is only as good as the support one gets and in this case it is subpar. Works well, wasn't sure that what I had was a sidestream neb. but it is fine. A comfy mask, very flexible. Thought at first it was just a tad too small, but its ability to mold to the face makes up for it. Glad I purchased. Now I can lie back and watch TV and not have to hold the neb. I love the mask, it's great to be hands free instead of being nearly incompasitated for 10-15 min. Recommended for anyone using the nebulizer.